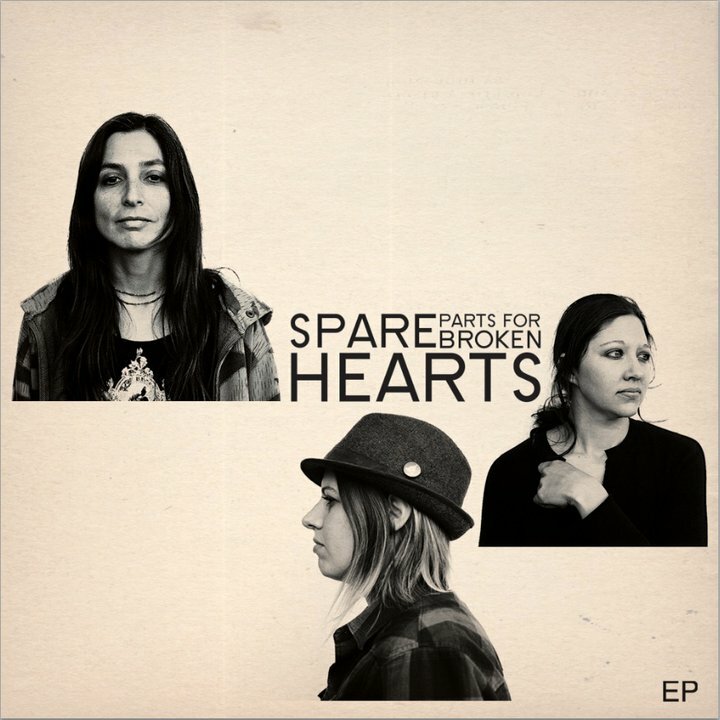 Spare Parts for Broken Hearts gives hard rockers and girl group lovers alike reason to swoon. The trio blends their love of grunge and experimental modern rock that gives a nod to their influences Muse, Led Zeppelin, Radiohead and Nirvana. Sarah Green and Laurita Guaico pour their deadly harmonic melodies and dark lyrics over the heart thumping and memorizing rhythms of iconic drummer, Tosha Jones. Green and Guaico alternate bass and guitar and often team up for the groups’ catchy combo of vocal layers. Though SP4BH formed in early 2010, the members combine more than a decade of rocking the local scene. Well known players in the SoCal grrrl scene, and as self-proclaimed road dogs, Guaico and Green first teamed up in Orange County’s favorite 90s grunge girl group Relish. Guaico and Jones later toured the country in the all-girl band The Randies. All three girls are veterans of The Vans Warped tour and even prior to a full-length release; the band is frequently packing rooms across southern California.